Shop online for 27 model rocket launch equipment at discounts up to 46%. Misc. is the most popular of the 3 model rocket launch equipment categories, then Launch Pads, and Rocket Launchers. Launch rod with extra strength and stiffness for larger rockets. 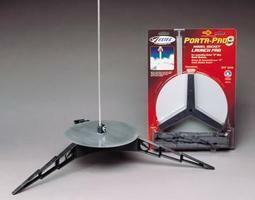 Designed for use with the Estes Porta Pad II Launch Pad. This is a standard launch pad from Estes. Sturdy, plastic tripod design with tilt adjustment (up to 30 degrees from vertical). Easy to set up and take down - no tools required! Comes complete with blast deflector plate and standoff, two piece 1/8" (3 mm) launch rod, safety cap and key. 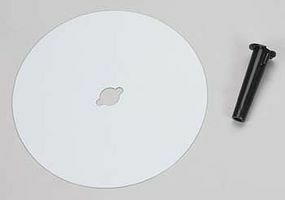 Porta-Pad II can accommodate a 3/16" (5 mm) launch rod. 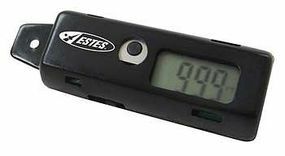 This is the Altimeter from Estes. Suitable for Ages 10 & Older with Adult Supervision for Those Under 12. 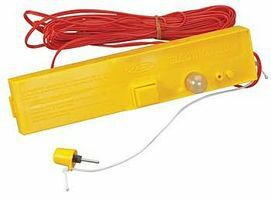 This Estes Launch Controller comes complete with safety key, continuity light, push button launch button, 15 feet (5.2 m) of cable and micro-clips for igniter hook up. No assembly required! This is a mid-size launch pad from Estes. 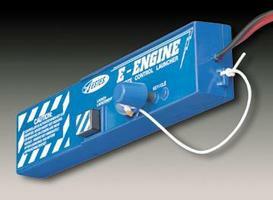 Use this launch pad to launch "E" engine powered rockets. Quick assembly - no glue or tools required. Includes a 1/4 in. (6 mm) launch rod, but can accommodate a 3/16 in. 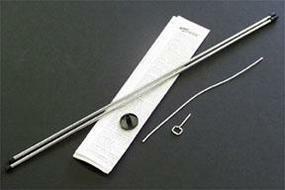 (5 mm) Maxi launch rod. Replaces that worn-out deflector for your Estes launch pad. This Model Rocket Motor Reload Kit Contains One Reloadable Motor System (RMS) 29/40-120 Motor Hardware Designed by Aerotech. Federal Law Prohibits the Sale of This Product to Persons Under Age 18. This Model Rocket Motor Reload Kit Contains One Reloadable Motor System (RMS) 18/20 Motor Hardware Designed by Aerotech. Federal Law Prohibits the Sale of This Product to Persons Under Age 18. This is the Launch Base from the Pro Seres II from Estes. Suitable for Ages 18 & Up. This is a Pro Series II model rocket launch controller from Estes. This is the Model Rocket Display Stands for Standard Engine Rockets from Estes. Suitable for Ages 10 & Older with Adult Supervision for Those Under 12. Available for Mini engine rockets (ESTT2290) Standard engine rockets (ESTT2291) C11, D and E engine rockets (ESTT2292). Replacement launch rod for the Estes Porta-Pad II Launch Pad. Suitable for most rockets. This is the Interlock Launch Controller for Model Rockets by Aerotech. This is the Porta-Pad II Model Rocket Launch Pad and Electron Beam from Estes. Suitable for Ages 10 & Older with Adult Supervision for Those Under 12. For your safety and enjoyment, always follow the NAR Model Rocketry Safety Code while participating in any model rocketry activities. This is the Model Rocket Display Stands for C11, D and E Engine Rockets from Estes. Suitable for Ages 10 & Older with Adult Supervision for Those Under 12. Available for Mini engine rockets (ESTT2290) Standard engine rockets (ESTT2291) C11, D and E engine rockets (ESTT2292). Mantis is a mid-size Model Rocket Launch Pad. Designed for all Model Rockets by AeroTech. This Model Rocket Motor Reload Kit Contains One Reloadable Motor System (RMS) 24/40 Motor Hardware Designed by Aerotech. Federal Law Prohibits the Sale of This Product to Persons Under Age 18. 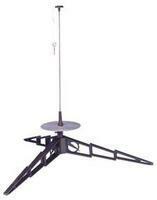 This is the Model Rocket Display Stands for Mini Engine Rockets from Estes. Suitable for Ages 10 & Older with Adult Supervision for Those Under 12. This is the Astron II Launch Controller for Flying Model Rockets from Estes. For your safety and enjoyment, always follow the NAR Model Rocketry Safety Code while participating in any model rocketry activities.